Designed after the "Hooters" boat, this is an all new TX45 Tunnel Hull. Designed for the 7.5cc or 11cc Outboard Motors, this tunnel performs like the full-sized boats! Vinylester/fiberglass construction is white primered in the mold for a clean, runable or ready-to-paint finish. 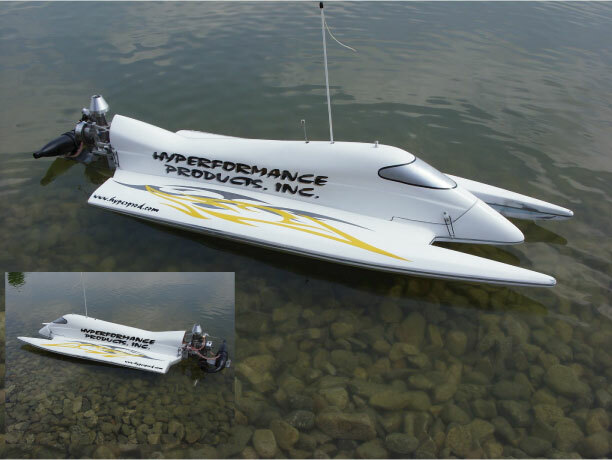 Add a Hyperformance/Rossi outboard motor and you have a winning combination! Canopy latches (shown) are not included.